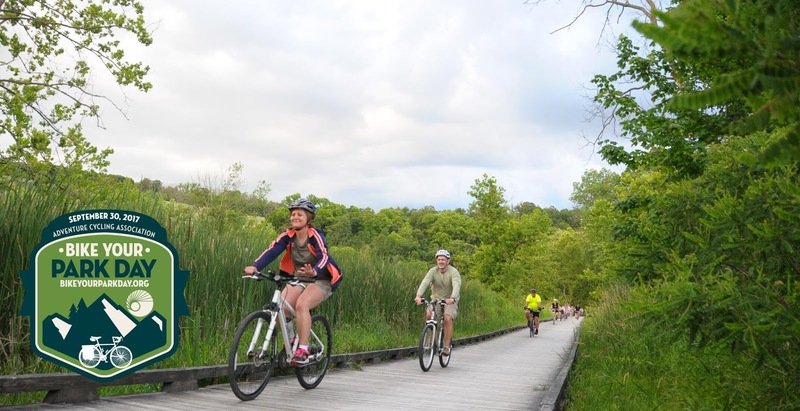 Join us this Saturday for our final Night Ride on the Towpath Trail of the 2017 season! For this ride, we join the Adventure Cycling Association in celebrating Bike Your Park Day! Share photos of your the ride on social media with the hastag #BikeYourPark. The ride is FREE as always, and no pre-registration is necessary. We start riding at 8:00pm sharp.We'll ride NORTH on the Ohio & Erie Canal Towpath Trail to the Station Road Bridge and back (about 14 miles round-trip). You must have your own bicycle, helmet, and headlight. Children are welcome, but must be accompanied by a parent or guardian. For more information on our Night Rides on the Towpath Trail, go to www.centurycycles.com/for/NightRides for and safety tips and photos/videos from past rides. Check the event on Facebook for the latest updates.